Vale's Greenhouse - Black Diamond Alberta. Your Southern Alberta and Calgary area gardening specialists, featuring hardy Southern Alberta perennials and shrubs for the Chinook zone. 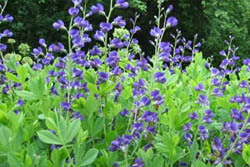 Your Southern Alberta and Calgary area gardening specialists, featuring hardy perennials and shrubs for the Chinook zone. SEPALS - Typically functions as protection for the flower in bud, and often as support for the petals when in bloom, usually green. MONOCARPIC - (hapaxanth and semelparous) A term used to describe a plant that flowers and/or fruits once and then dies. The plant literally reproduces itself to death. Annuals, for example, are monocarpic. More unusual are perennials, the so-called century plant, agaves, which can grow for years or decades before they suddenly flower and die. Another perennial associated with the term monocapric is the Himalayan Blue Poppy. BIENNIAL - a plant that takes two seasons to grow and produce flowers. Then it goes to seed and dies. Biennials only grow leaves in the first season. Hollyhocks are a good example. 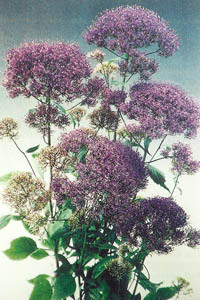 ANNUAL - a plant that has a life of one summer season. 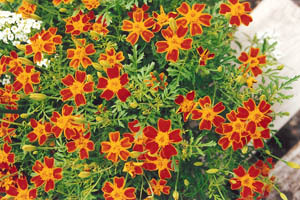 These plants grow, bloom and create seed for the next season all in one short summer. PERENNIAL - a plant that is hardy in the zone that it is planted in. Dies to the ground each fall and springs to life again in the spring. WATER PLANT - a plant that needs to be planted in a boggy area of the garden or placed in a pond. They also may need to float on the water surface not planted in soil. CULTIVAR - a cultivated variety of a strain of plant. 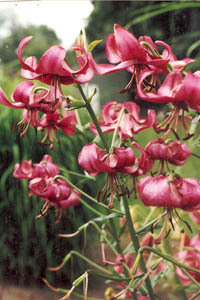 The cultivar name is identified by the use of single quotations marks, such as 'Elegans'. HABIT - describes the form of the plant, for example weeping may mean drooping branches. Other habits are creeping, spiky, upright rounded or mounded. HERBACEOUS - a plant with soft stems rather than woody stems. 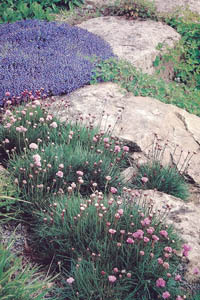 Perennials are most often herbaceous as shrubs are woody. HYBRID - a plant-breeding term describing the crossing of two similar specimens, usually of the same genus, to create vigorous offspring that generally have improved qualities over the parent plants. Often identified with an x in the name, such as Geraniun x Rozanne. NITROGEN FIXERS - Plants of the legume family whose roots are colonizedby certain bacteria that extract nitrogen from the air and convert or “fix” it into a form required for their growth. When the bacteria are done with this nitrogen, it becomes available to the plant itself to use for its own growth. RHIZOME - a modified plant stem that grows horizontally beneath, or sometimes at the soil surface. A good example of this is the bearded iris. SUCKER - a fast-growing shoot that grows from the roots or lowertrunk of a shrub or tree sometimes called waterspouts when they grow near the top of the tree. 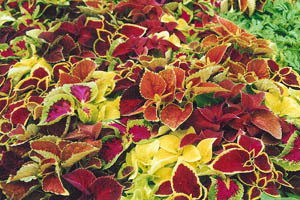 VARIEGATED - leaves marked with more than one colour. ERICACEOUS - plants that require acid soil to survive. HUMUS - also call organic matter, the decaying remains of once-living material. Improve the soil texture, fertility and moisture-holding capacity; compost is a form of humus. SOIL pH - the pH scale measures whether the soil is acidic or alkaline and runs from 1 to 14, with neutral being 7. Levels below 7 are acid and above are alkaline. Plants generally prefer a slightly acid soil of pH of 6 to 6.5. FORCING - speeding up a plant's growth. Or maturity, using artificial heat, cold and/or light to make the plant bloom earlier than is normal in nature. HARDENING OFF - gradually moving seedlings or other indoor plants outside for increasingly long periods in the spring to get then acclimatized to the outdoors. PINCHING BACK - using your thumb and forefinger or pruners to nip back the tip of a branch to promote bushier fuller growth on a young plant. XERISCAPING - landscaping designed to withstand drought, requiring minimal or no water or no irrigation once established; comes from the Greek xeros meaning dry. SUCCESSION OF BLOOM - (also known as "Sequence of Bloom") Where one chooses different plants whose colours and flowers appear at different times through-out the gardening season in an orderly succession. Phases of blooms appear in overlapping waves from spring to fall. SEED STRATIFYING - seeds that require a cold period to be able to germinate. A tactic that occurs naturally in the garden during our winter. VERNALISATION - Many plants must experience a period of low winter temperature to initiate or accelerate the flowering process, this activates a plant hormone called florigen, present in the leaves which induces flowering at the end of the chilling treatment. Some plants do not flower without Vernalization. A USDA Zone 2 common plant that does not flower with a cold season are Peony's. FULL SHADE - dense shade found underneath some trees or on the north side of a building: an area that generally receives no direct sun. FULL SUN - at least six hours of direct sun in the middle of the day. PART SHADE - about half a day of sunshine, morning sun is usually considered part shade. May also be referred to as filtered light/sun. HARDY - an herbaceous or woody plant that is hardy in your location has the ability to withstand normal frost and winter temperatures without the need for artificial protection. TENDER PERENNIALS are plants that may not be hardy in your zone and are used in containers or in place of annuals. These plants may be brought indoors for the winter months.